You’ve got a propane tank for your outdoor grill. And if you have an alternative heat source, such as a gas stove, you likely power that with propane, too. But you can go all-in on propane and run your hot water heater and appliances as well. Propane is cleaner and more efficient and will save you money as compared to electricity usage. Many people might not consider propane when it comes to household appliances, but there are lots of money-saving opportunities when you use this liquid gas. Look at your clothes dryer, for instance. If you have an electric model, it’s taking you longer to dry your clothes. More run time = spending more money. Propane gas dryers generate more heat, which makes it not only more efficient but effective to dry clothes. An added bonus: the increased heat can also result in fewer wrinkles! There are several reasons why you should choose a gas clothes dryer over an electric one, and saving money is just one of the reasons. 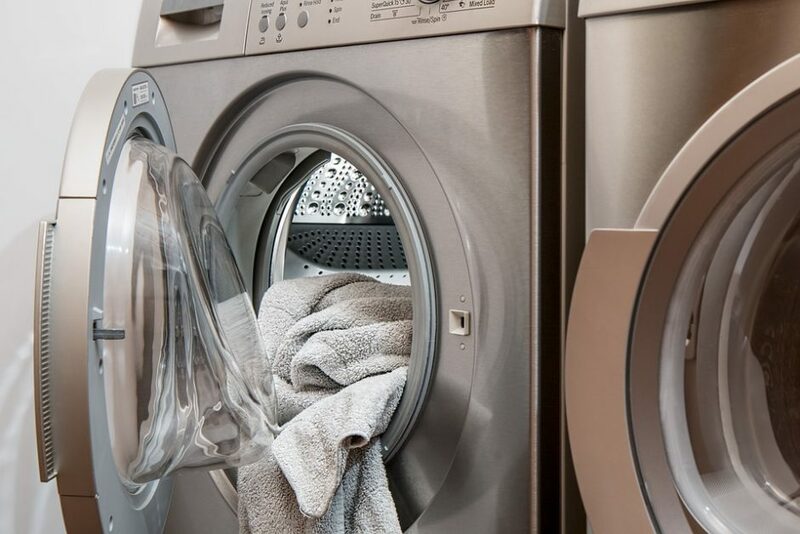 Let’s explore the benefits of a propane clothes dryer and find out why you should consider this viable option as soon as possible. Want to dry your clothes faster? Interested in saving up to 20 percent on your energy bill? How would you like to help save the environment by cutting down on CO2 emissions? All of the above can be accomplished when you choose a propane gas clothes dryer over an electric one. Sure, you might spend just a bit more on a gas clothes dryer ($50-$100 more, on average), but the environmental and long-term savings benefits far outweigh that minor cost difference. Besides running your gas clothes dryer less; another way you’ll save money with a propane gas dryer is that if you’re already using propane for other appliances, you’ll increase your use of propane. Ordering larger quantities of propane is actually cheaper than ordering small quantities to run fewer appliances. You can also save on another precious commodity: time! Your clothes are in and out of your propane dryer more quickly, resulting in you being in and out of the laundry room more quickly and enjoying more time to do the things you really want to do. And if you’re not in the market for a new dryer–no problem. If you’re currently using a gas dryer, you can get a conversion kit to switch over to propane as your power source. Professionals like those at Diversified Energy can convert your existing gas dryer to propane in no time, or they can install your new propane clothes dryer. If you like what you’ve heard about propane clothes dryers and intend to purchase one, you might need the services of a propane company. If you live in North Carolina, northern South Carolina, southern Virginia or the Mount Joy area of Pennsylvania, this is where Diversified Energy comes in. We’ll gladly handle not only your gas clothes dryer installation, but we’ll also be your propane supply company of choice. We’re one of the largest suppliers on the East Coast and would love to add you to our growing list of customers–currently 25,000+. We offer automatic home delivery, above- and underground storage tank installation, gas line installation and top-notch technicians. Simply stop by one of eight Diversified Energy locations throughout NC or our PA office to discuss your options and how we can help. Or call 1-800-719-1104 and we’ll be happy to answer any questions you might have over the phone.